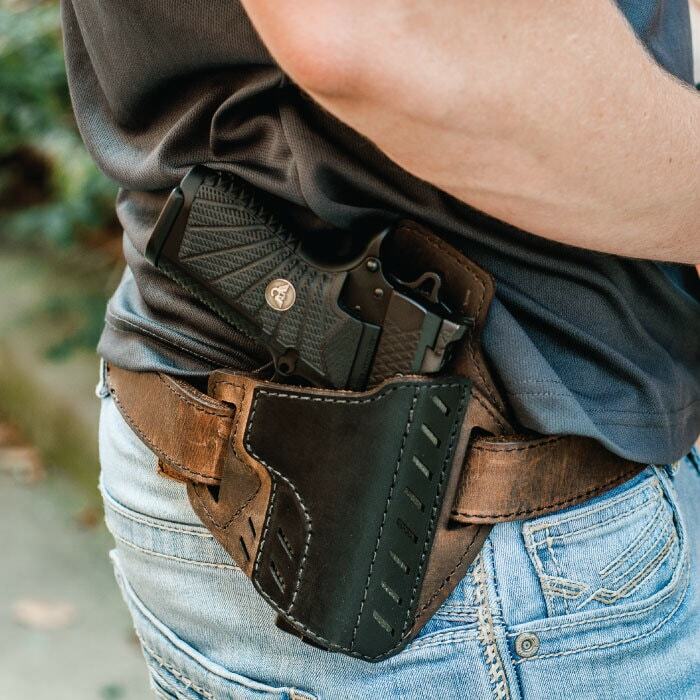 Versacarry unveils the Decree Series — a new line of leather, outside-the-waistband holsters made from premium water buffalo hide. The Decree Series features a double-layer design paired with a raised backing to offer protection as well as a comfortable ride. 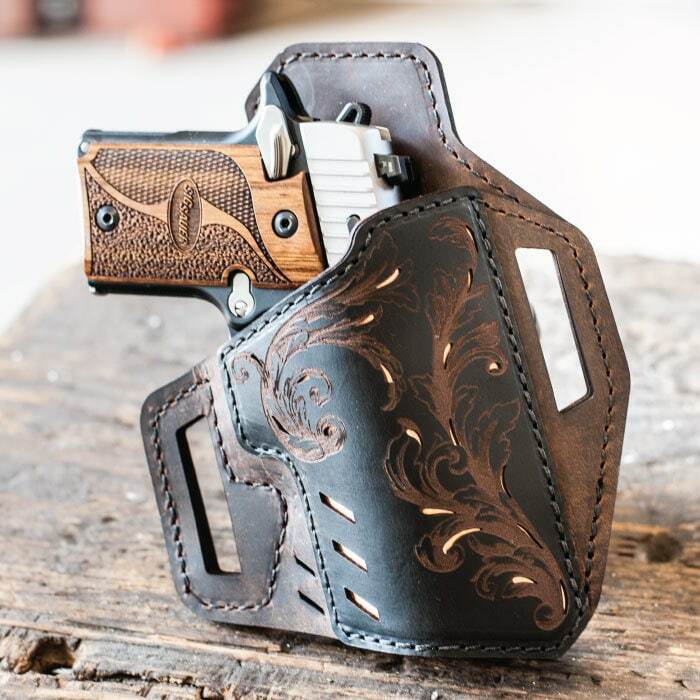 The holster boasts reinforced triple layering around the belt loops in order to provide a solid foundation when carrying. 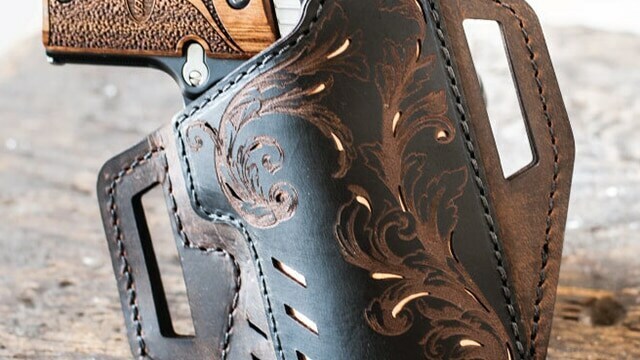 The Decree is also constructed with an inlay that acts as reenforcement, preventing the holster from collapsing. The series sports three models — Standard Carbon Fiber Inlay, Standard Metal Inlay and Scroll. All models are available in either left or right handed configuration with a distressed brown leather and black leather overlay aesthetic. The series offers sizing for most popular handguns. The Decree Series is available now through Versacarry and is priced at $89.99.